17/10/14 -- Soycomplex: Beans closed lower on the day, but higher for the week. "The high emotions seen in the macro markets over the past couple sessions seems to have run its course and this allowed beans to get back to trading fundamentals with market settling lower ahead of wide open harvest weekend," noted Benson Quinn Commodities. The "high emotion" to which they refer concerned slumping equities, and NYMEX crude slipping below $80/barrel yesterday for the first time for the fist time since June 2012. This may be responsible for the recent uptick in spec money coming back into the grains market, although there was an element of calm in these outside markets today. It will be interesting to see if this trend resumes again next week, with the Fed stopping printing money this month, or as one commentator put it "weaning the patient off the monetary morphine" - is he about to wake up and not like what he sees? "The 7-day outlook is dry over an enormous area of the United States heartland," according to Martell Crop Projections, which should allow for good harvest progress to be made. The US soybean harvest jumped from 20% to 40% complete last week, could it have advanced another 20 points when the USDA release their latest crop progress report on Monday night? The trade doesn't seem to think so, with the average trade estimate around 52% done, but then again the trade was only looking for 30-33% complete a week ago. Informa estimated US soybean plantings in 2015 at a record high 88.512 million acres, versus a previous forecast of 87.652 million in September. That would be a rise of 5.1% compared to what the USDA says was planted in 2014. Soybean planting in Brazil remains stalled. Dryness in the leading producing state of Mato Grosso is only 9.3% complete, up less than a point on a week ago (8.4% done), and 18 points behind this time last year. Somar say however that some parts of the state could pick up rains of up to 2 inches next week. Weekly export sales for beans came in at 935,000 MT for 2014/15 versus trade expectations of 650-750 TMT, China (709,400 MT) took the lion's share as usual. Actual shipments were 1,528,700 MT - a marketing-year high - and were also mostly to China (1,165,900 MT). Today's commitment of traders report shows fund money reducing their net short in beans for the week through to Tuesday night. Nov 14 Soybeans closed at $9.51 3/4, down 14 3/4 cents; Jan 15 Soybeans closed at $9.59 3/4, down 14 1/2 cents; Dec 14 Soybean Meal closed at $330.50, down $4.10; Dec 14 Soybean Oil closed at 32.02, down 34 points. Corn: The corn market also closed lower on the day, but higher for the week. Weekly export sales were strong at 1,922,800 MT for 2014/15, and also a marketing-year high. There were also sales of 510,500 MT for 2015/16. Mexico was a featured buyer in both crop years, although the vast majority of this was simply confirmation of a large trade announced last Friday. Exports of 901,700 MT were primarily to Japan (348,200 MT), Colombia (115,800 MT), Mexico (87,400 MT), Peru (83,900 MT) and Egypt (65,500 MT). The USDA also reported sales of 120 TMT of US corn to "unknown" today. "I would not be surprised to see the corn market shift to a sideways to lower trade as harvest expands. It may depend on the macro markets showing more stability and less volatility," said Benson Quinn's Brian Henry. Informa estimated US corn plantings for the 2015 harvest at 87.771 million acres, that's up from their previous forecast of 87.275 million, although 3.4% lower than the USDA's estimate of 90.9 million planted this year. That would be the first time that soybean acres have outstripped corn plantings in as long as I can remember. Commerzbank said that current low corn prices will lead to reduced plantings in both North and South America for the 2015 harvest. They see US prices recovering to around $4/bushel in Q3 of next year. Corn planting in Argentina is 30% complete, favoured by good weather conditions across the last 7 days, according to the Buenos Aires Grain Exchange. They see plantings down 16% this year at 3 million ha. Crop conditions are generally good, they say. Last week the USDA put the 2014 US corn harvest at 24% complete versus 17% a year ago. That was broadly in line with expectations, although it lagged the 5-year average of 43% significantly. Perhaps that will have risen to around 35% or so on Monday night it is thought. The latest commitment of traders report shows fund money adding to their net long in corn for the week through to Tuesday night. India said that it had exported only 2.5 MMT of corn for the 2013/14 marketing year that ended in September. That's down sharply from the 4.7 MMT shipped out the previous season. Strong competition from Black Sea sellers such as Ukraine, Russia, and Romania may have been a contributing factor towards the decline. Russia's 2014 corn harvest now stands at 8.3 MMT off 1.8 million hectares, or 69% of the planned area. Dec 14 Corn closed at $3.48, down 4 1/4 cents; Mar 15 Corn closed at $3.61 1/4, down 4 cents. Wheat: The wheat market closed mostly lower on the day, but also higher for the week, in what looks like pre-weekend consolidation. Weekly export sales of 454,000 MT for delivery in the 2014/15 marketing year, along with a further 40,000 MT for 2015/16 were deemed to be "routine" and in line with expectations. Actual exports themselves of 485,300 MT were also uninspiring, down 27 percent from the previous week and 21 percent from the prior 4-week average. Nothing to get excited about there. Informa estimated US wheat plantings for the 2015 harvest at 56.428 million acres, down from a previous forecast of 57 million and a bit below the 56.8 million that they USDA says was planted for this year's harvest. 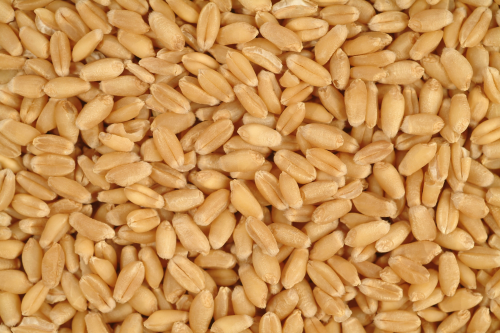 Tunisia bought 151,000 MT of optional origin durum wheat in a tender. The Buenos Aires Grain Exchange said that the Argentine wheat harvest is underway, although less than 1% done on a national level. Crop conditions are generally good. They held steady with their planted area estimate at 4.1 million hectares, an increase of more than 13% compared to a year ago. The Rosario Grain Exchange said that 70% of the wheat crop in its area is in good to very good condition. Yields will not reach their full potential, but they will be above average, they said, adding that compared to last year the current climate scenario is "very favourable". Russia said that they had harvested 22.9 million hectares of wheat, or 93% of the planned area, producing a bunker weight crop of 60.5 MMT to date. Ukraine said that it had exported more than 10 MMT of grains so far this marketing year, including almost 6 MMT of wheat. The Ukraine Ministry said that grain exports could hit a record 4.3 MMT this season, up from the existing all time high 32.8 MMT shipped out in 2013/14. The new projection would include 17.9 MMT of corn, 11.7 MMT of wheat and 4.16 MMT of barley, they say. Plantings of winter grains (mostly wheat) in Russia and Ukraine are already nearing completion, with Russia nearly 98% done and Ukraine 90% finished (and 94% done on wheat). Good soaking rains arrived this week for the latter, and are in the 14 day forecast for the former. The latest commitment of traders report shows fund money getting less short in Chicago wheat, and increasing their long position in Kansas wheat for the week through to Tuesday night. Dec 14 CBOT Wheat closed at $5.16, down 1 cent; Dec 14 KCBT Wheat closed at $6.01 3/4, down 3 1/4 cents; Dec 14 MGEX Wheat closed at $5.70, down 6 1/2 cents. Is Spec Money Coming Back Into The Grains Sector? 17/10/14 -- EU grains finished narrowly mixed on the day, but mostly higher for the week. At the finish Nov 14 London wheat was down GBP0.55/tonne to GBP116.45/tonne, Nov 14 Paris wheat ended EUR0.50/tonne firmer at EUR160.00/tonne, Nov 14 Paris corn fell EUR0.50/tonne to EUR142.50/tonne, whilst Nov 14 Paris rapeseed was EUR0.75/tonne lower at EUR322.00/tonne. For the week that puts front month London wheat up GBP3.70/tonne, with Paris wheat up EUR1.25/tonne, corn up EUR1.75/tonne and rapeseed EUR2.00/tonne weaker. There was a general dearth of fresh news. There is however some evidence that fresh spec money is coming back into the grains sector, wooed away from falling global equities. Whether this is the beginning of a long-term trend it's too early to say. The FTSE 100 hit a 15 month low yesterday, and had fallen 8.6% in the past month in lunchtime trade. The S&P 500 is down 7.4% and the Dow Jones Industrial Average 6.7% lower compared to a month ago too. In the same period Chicago wheat has risen by 9.5%, and there's some debate as to whether the traditional October lows are now already in for corn and soybeans as well. 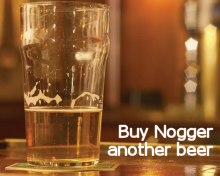 This might be tempting some fresh money back into the grains sector it is thought. The credibility of the Paris wheat contract took another blow when in a surprise, and controversial move, LCH.Clearnet - the clearing house behind Euronext - announced today that they are to introduce an extra margin call on short positions in the Nov 14 contract. The move looks aimed at "encouraging" shorts to close out their positions, rather than run them to the wire with the intention of delivering against them - something which to the embarrassment of the exchange they probably won't be able to do as the two sole delivery points are still not open for intake of wheat. There's still on open interest of the equivalent of around 4.5 MMT against the Nov 14 contract, which is way beyond the capacity of these two stores anyway, even if they were currently empty! Brussels confirmed that they'd issued 945 TMT worth of soft wheat export licences this past week, the highest weekly total of the season so far. The cumulative export licence total is now 8.4 MMT for the current marketing year. That beats the 8.0 MMT that had been granted this time a year ago, despite the fact that the EU Commission sees soft wheat exports down by almost 17% in 2014/15 versus last season's record. Ukraine seaports shipped 3.536 MMT of grains in September, a more than 50% increase compared to the same month in 2013. The Ukraine Ministry said that the country might export a record 34.3 MMT of grains this season, up from the existing all time high 32.8 MMT shipped out in 2013/14. The new projection would include 17.9 MMT of corn, 11.7 MMT of wheat and 4.16 MMT of barley, they say. The Russian Ministry said that their 2014 grain harvest had now reached 105.2 MMT, with around 7% of the planned area still left to cut. That total includes 60.5 MMT of wheat, 20.9 MMT of barley and 8.3 MMT of corn. Russian winter grain planting is nearing completion at 16.1 million ha, or 97.6% of plan. Good rains are in the forecast. 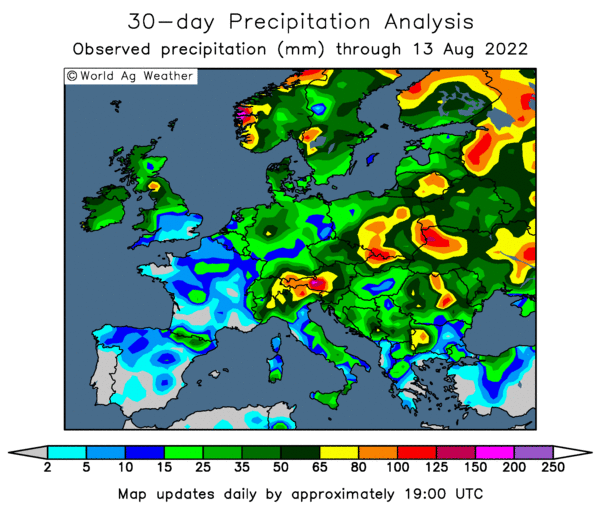 In Ukraine, Agritel report that heavy rain has fallen over most of the country in recent days, creating favourable conditions for winter crop development there. FranceAgriMer said that the French corn harvest was 19% done as of Monday, up ten points from a week ago and compared to only 5% complete a year ago. The crop was rated at a high 87% good to very good, the same as a week ago, and far better than only 57% this time last year. French winter wheat planting is 34% complete versus 23% last week and 36% a year ago. The winter barley crop for next year is 55% sown versus 43% a week ago and 62% this time last year. 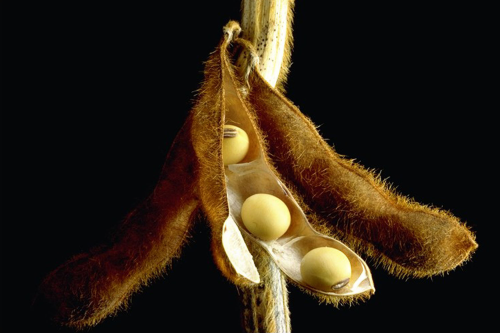 16/10/14 -- Soycomplex: Beans closed higher on short-covering, although there was a general lack of fresh news to get excited about. US weather leans friendly for decent harvest progress to be made across the weekend. Crude oil dipped below $80/barrel at one point, but rallied later in the day to close at $82.70/barrel, which may have provided late support to beans. The Rosario Grain Exchange estimated Argentine soybean plantings at 20.6-20.9 million acres, up from 20.2 million last year. MDA CropCast left their forecast for the US 2014 soybean crop unchanged at 3.85 billion bushels. The Ukraine Stats Office said that the country had harvested 2.14 MMT of rapeseed, 7.72 MMT of sunseed and 2.47 MMT of soybeans so far this year. Weekly export sales data is due for release tomorrow, delayed a day due to the Columbus Day holiday on Monday. Trade estimates for soybean sales are around 650-750 TMT versus 923,400 MT a week ago. Nov 14 Soybeans closed at $9.66 1/2, up 14 3/4 cents; Jan 15 Soybeans closed at $9.74 1/4, up 13 1/4 cents; Dec 14 Soybean Meal closed at $334.60, up $7.30; Dec 14 Soybean Oil closed at 32.36, up 30 points. Corn: The corn market closed around 4-5 cents higher, with fund money seen covering in around 3,000 lots of their short. MDA CropCast held steady with their US 2014 corn production estimate at 14.547 billion bushels, saying that drier Midwest weather this week will have allowed for better harvest progress to be made. The Rosario Grain Exchange estimated corn plantings in Argentina down 16% this year at 3.7 million hectares. Russia said that it had harvested 7.7 MMT of corn so far off 63.9% of the planned area. Ukraine's corn harvest stands at 9.48 MMT to date. Spain said that they'd imported 740 TMT of corn in the first two months of the 2014/15 marketing year (Jul/Aug), a 37% rise year-on-year. Strategie Grains raised their forecast for the EU-28 2014 corn harvest by almost 2 MMT to 73.3 MMT, a 14% hike compared with a year ago. EU corn plantings in 2015 will fall 2%, they predict. The USDA reported the sale of 120 TMT of US corn to "unknown destinations" for 2014/15 delivery. Trade estimates for tomorrow's weekly export sales report are around 1.2-1.5 MMT. The US Energy Dept reported ethanol production at 885k barrels/day, down from 901k a week ago. Dec 14 Corn closed at $3.52 1/4, up 4 3/4 cents; Mar 15 Corn closed at $3.65 1/4, up 4 3/4 cents. Wheat: The wheat market closed with double digit gains across the three exchanges. Russia's 2014 wheat harvest now stands at 60.5 MMT off 22.9 million hectares, or 93% of the planted area. Yields are up 12.3% at 2.64 MT/ha. The Ukraine wheat harvest is over at 24.55 MMT, with barley production coming in at 9.3 MMT, said their Stats Office. Russian winter grain plantings are nearing completion at 96% done on 15.8 million ha. Ukraine winter wheat plantings are 93% done on 5.7 million hectares. Good rains are in the 14 day forecast for both. Russia only picked up 28,755 MT of grain at their regular intervention purchase round. The cumulative total to date is only 141,325 MT out of an intended target of 4-5 MMT. The Rosario Grain Exchange forecast the 2014 Argentine wheat harvest at 12 MMT, up 26% from a year ago. Harvesting of that takes place in Dec-Jan. Strategie Grains raised their forecast for the EU-28 soft wheat crop from 146.6 MMT to 147.4 MMT, up 9% on a year ago. They also increased their EU-28 barley production estimate from 59.6 MMT to 59.9 MMT. They said that they expect soft wheat plantings for the 2015 harvest to hold steady at more than 24 million hectares. 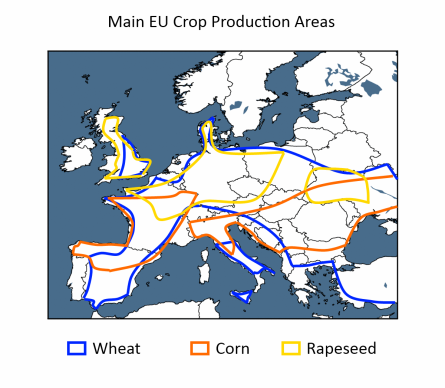 The 2015 EU barley area will drop 2%, they added. Trade estimates for tomorrow's weekly export sales report are around 400-500 TMT. Dec 14 CBOT Wheat closed at $5.17, up 11 cents; Dec 14 KCBT Wheat closed at $6.05, up 13 cents; Dec 14 MGEX Wheat closed at $5.76 1/2, up 11 3/4 cents. 16/10/14 -- EU grains closed mixed, but mostly a little easier - doing their best to resist pressure from falling outside markets. Nov 14 London wheat finished up GBP0.25/tonne at GBP117.00/tonne, Nov 14 Paris wheat was up EUR1.50/tonne at EUR159.50/tonne, Nov 14 Paris corn was dowwas unchanged at EUR322.75/tonne. The FTSE 100 fell hard for a second day, on concerns over a slowdown of the global economy and the impact of the ebola crisis. The leading UK index had its largest one day fall in 16 months yesterday. NYMEX crude oil fell below $80/barrel for the fist time since June 2012, and Brent was also down heavily. NYMEX has fallen 7% so far this week, and Brent is down 8% compared to last Friday. 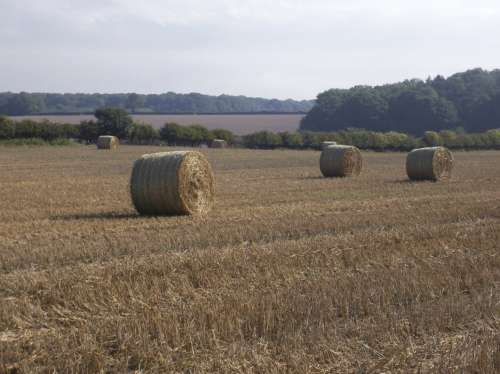 Defra confirmed UK wheat yields up 17% on last year at an average 8.6 MT/ha, with winter barley up 13% at 7.2 MT/ha, spring barley up 6% at 6.0 MT/ha and OSR yields 25% higher than a year ago at 3.7 MT/ha. UK wheat plantings were up 20%, taking production to 16.6 MMT, a 39% jump versus 2013. 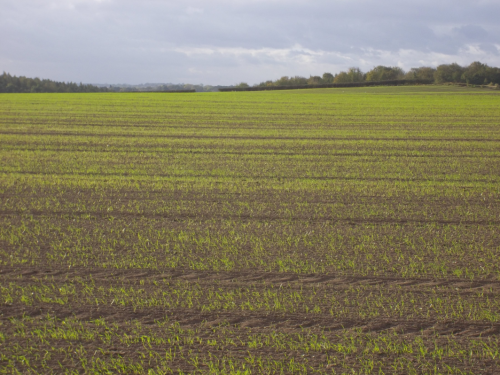 With winter barley plantings up 38%, production is 56% higher than a year ago at 3.1 MMT. Spring barley sowings fell 28%, taking production 23% lower to 3.9 MMT. Despite an 8% decline in OSR plantings, the much better yields achieved this year see production up 17% at 2.5 MMT. Customs data shows that the UK imported more wheat than it exported again in August, stretching that run to 27 months in a row. Imports came in at 228.7 TMT, a 17% rise versus July, with France (78 TMT), Denmark (66 TMT) and Germany (30 TMT) the leading suppliers. The UK exported just under 130 TMT of wheat in August, with Spain the top destination taking 55.4 TMT. It looks like Spain is stepping up its imports, after a disappointing 2014 grain crop of its own. July/Aug wheat imports were up 47% versus the first two months of the 2013/14 marketing year at 1.27 MMT. Corn imports were also up sharply, 37% higher at 740 TMT. Spain's soft wheat crop fell 16.4% to 5.6 MMT this year, with corn production down 3.4% at 4.58 MMT. Russia's 2014 harvest is winding down at 92.6% done, producing a grain crop of 104.4 MMT to date. That total includes 60.5 MMT of wheat, 20.9 MMT of barley and 7.7 MMT of corn. It would seem that winter planting for the 2015 harvest is also wrapping up, at 96% done on 15.8 million hectares. That's up sharply from the only 11.4 million ha that had been planted this time a year ago. Timely rains are in the forecast to get the crop off to a good start. Ukraine's winter wheat crop is also in for a good soaking in the coming days, that's been sown on 5.7 million ha to date, which is 93% of the anticipated 6.2 million ha. Plantings for the 2014 harvest were 6.1 million ha. 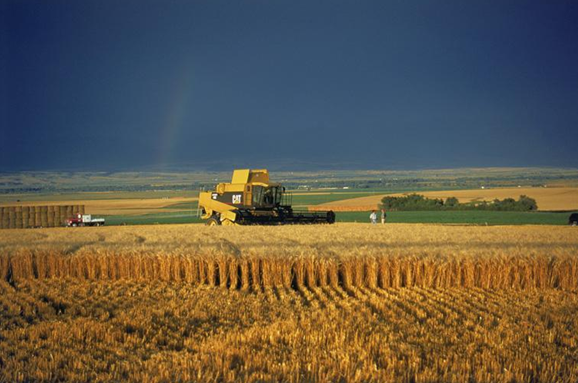 The Ukraine Stats Office said that the country had harvested 24.55 MMT of wheat and 9.3 MMT of barley this year. 15/10/14 -- Soycomplex: Beans closed lower, in line with falling equities and commodities in general. "Fears of slowing global economy and spread of Ebola in the US to a second nurse in Dallas triggered the massive sell off in US equities and broad market with losses in the Dow and S&P at times wiping out all of 2014 market gains," said Benson Quinn Commodities. NYMEX crude is now threatening to fall below $80/barrel for the first time since June 2012. The September NOPA crush came in at 99.97 million bushels, down from 110.6 in August, and below trade estimates. This was said to be the lowest level since Aug 2004, although tightness in availability was almost certainly a contributing factor. News after last night's close that the US 2014 soybean harvest was 40% complete was also bearish. Even though that's behind the 5-year average, it's a lot better than the 30-33% that the trade was expecting. Planting progress in Mato Grosso, Brazil’s largest soybean state with a 30% share of national output, remains slow waiting for rains to arrive. "Dryness is expected to continue in the upcoming week in Mato Grosso, though not as extreme as previously, as a few showers predicted in the Center West. Late October may bring even heavier rain. The outlook for October 22-28, calls for near average moisture in pocket of the farm belt though many soybean farms would continue on the dry side," said Martell Crop Projections. Nov 14 Soybeans closed at $9.52 1/2, down 12 1/4 cents; Jan 15 Soybeans closed at $9.61, down 12 1/4 cents; Dec 14 Soybean Meal closed at $327.30, up $3.30; Dec 14 Soybean Oil closed at 31.98, down 89 points. Corn: The corn market ended with losses of the best part of 10 cents. As with beans, macro-economic worries weighed on corn, along with slumping crude oil prices as the US embrace shale gas production. The Ukraine Ag Ministry estimated this year's grain harvest at a record 64.4 MMT, saying that exports would exceed last season's 33 MMT, without giving an exact figure. Much of that will be corn, although these estimates look rather optimistic given the problems that they've had this year. Other, perhaps more realistic, trade estimates have Ukraine's grain crop at around 57-58 MMT, with exports in the region of 26-27 MMT. The Ukraine Ministry say that exports so far this season total just under 10 MMT. 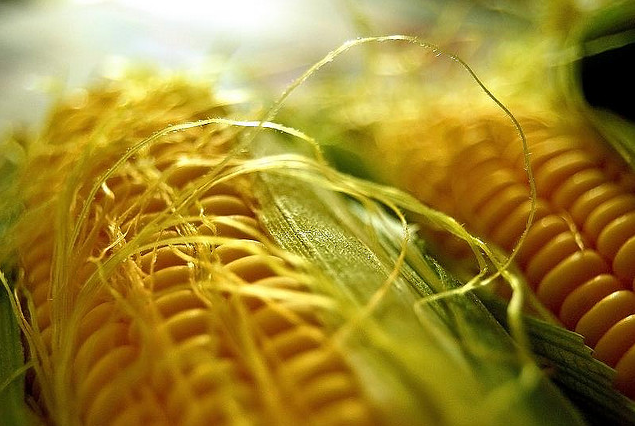 The Ukraine government said that they are in negotiations with Europe to obtain further permission to export corn to the bloc on a duty free basis. The existing 800 TMT corn quota has already been fully taken up. The Ukraine's said that they are hoping for the new quota period to commence on Nov 1, immediately after the old one expires. Russia said that it had harvested 7.6 MMT of corn so far this season, off 1.7 million hectares, or 62.3% of the planned area. They said that average yields this year are 4.59 MT/ha versus 5.2 MT/ha a year ago. There will be no weekly export sales figures tomorrow due to Monday's Columbus Day holiday, these will be released on Friday. Last night's US harvest progress figure of 24% from the USDA was in line with expectations, although well behind the norm. There is however talk of an extended period of dryness coming for much of the Corn Belt, which may allow for good advancement to be made. It has been shown in recent years that US farmers can harvest 25% of the entire corn crop in a week, given modern technology and equipment, if the weather is conducive. Dec 14 Corn closed at $3.47 1/2, down 9 1/2 cents; Mar 15 Corn closed at $3.60 1/2, down 9 1/2 cents. Wheat: The wheat market closed mixed, down in Chicago and up a little in Kansas and Minneapolis. Ukraine said that it had exported 5.9 MMT of wheat so far this season. Rusagrotrans raised their estimate for Russian grain exports (most of which will be wheat) in October from 3.0 MMT to 3.3-3.4 MMT. That would be a modest decline from 3.75 MMT in September, but still a record for the month, beating the previous best October total of 2.88 MMT set in 2011. The President of the Brazilian Millers Association said that wheat imports from the US would decrease sharply in 2015, following record domestic production and a strong recovery in output in neighbouring Argentina, who get a preferential deal in exporting wheat to Brazil as they are part of the Mercosur trade bloc. Brazil imported 6.6 MMT of wheat in 2013, with around half of it coming from the US following poor harvests domestically and in Argentina. They've imported 4.6 MMT of wheat in the first nine months of 2014, with around 2 MMT of that total coming from the US. Pakistan said that they expect growers there to plant 8.91 million hectares of wheat this year, up from 8.83 million a year ago. Production will rise from 25 MMT to 26 MMT in 2015, the Ministry said. Planting takes place October/November, with harvesting April/May. Russia said that it's 2015 wheat harvest was complete on 22.9 million hectares, or 92.9% of plan, producing a crop of 60.4 MMT in bunker weight to date. Average yields are 2.64 MT/ha, up more than 12% from 2.35 MT/ha a year ago. The Russian Grain Union forecast the 2014 wheat crop at 60 MMT in clean weight. The Russian Ministry estimated winter grain plantings at 93.9% complete. 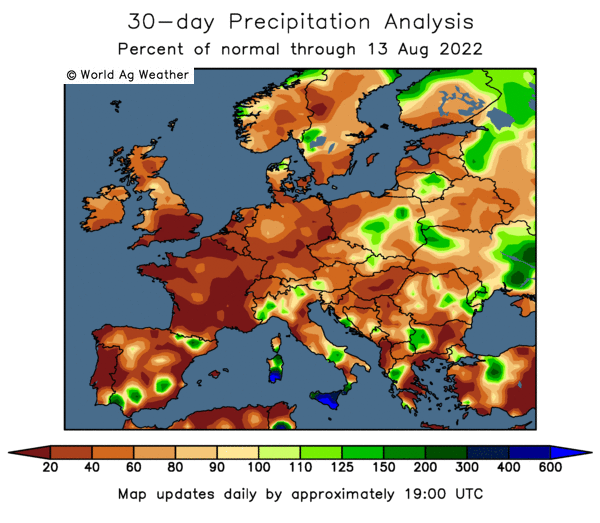 Rain is now needed, and fortunately for them that's exactly what is in the forecast, with Agritel predicting the best significant rain even of the autumn in the coming days. Dec 14 CBOT Wheat closed at $5.06, down 3 1/4 cents; Dec 14 KCBT Wheat closed at $5.92, up 1 3/4 cents; Dec 14 MGEX Wheat closed at $5.64 3/4, up 1/2 cent. EU Grains Rise, Are The Lows In, Or Is This A Selling Opportunity? 15/10/14 -- EU grains ended the day mixed, but mostly a little higher, following decent gains in the US grains market last night. London wheat now stands almost 8% higher than the 4-year closing low set on the last day of September. The day ended with Nov 14 London wheat up GBP1.80/tonne to GBP116.75/tonne, Nov 14 Paris wheat closed EUR0.50/tonne lower at EUR158.00/tonne, Nov 14 Paris corn was up EUR1.25/tonne to EUR143.25/tonne, whilst Nov 14 Paris rapeseed was EUR0.75/tonne easier at EUR322.75/tonne. Are the lows of the season really in? Or is this little rally simply a selling opportunity? Recent history doesn't give us a lot to go on. The lows of the year in London wheat across the last five years have been set in September (2009), March (2010), December (2011), January (2012) and August (2013). Not too much of a pattern there. The yearly highs incidentally came in January (2009), December (2010), April (2011), November (2012) and January (2013). The high of 2014 also fell within these months being equalled in both March and April (GBP170.25), unless that is you think we will zoom higher than that between now and the end of the year! I suppose you could say that there's a bit more of a trend in evidence there, but not exactly one around which you could form a trading strategy. Meanwhile the old adage of "big crops keep getting bigger" seems to be holding true in the case of America, Europe and Russia. Coceral yesterday estimated the EU-28 wheat and corn crops at a record 155.3 MMT and 72.79 MMT respectively. The USDA currently tell us that the US corn and soybean crops will come in at a record 367.68 MMT and 106.87 MMT respectively, and many think that both could end up even higher yet. The Russian Grain Union today estimated the 2014 grain crop there at 106 MMT in clean weight, including 60 MMT of wheat, 20 MMT of barley and 13 MMT of corn. The corn figure would be an all time high, and the wheat figure the highest since 2009 and the barley estimate the best since 2008. The Russian Ag Ministry say that the 2014 harvest there is now 92.4% complete at 104.1 MMT in bunker weight. That includes 60.4 MMT of wheat (off 92.9% of the planned area), 20.8 MMT of barley (96.7%) and 7.6 MMT of corn (62.3%). They also say that winter planting for the 2015 harvest has raced to 93.9% complete on 15.5 million hectares versus only 10.7 million ha this time a year ago. Ukraine winter grain planting is also well advanced their Ag Ministry told us earlier in the week. 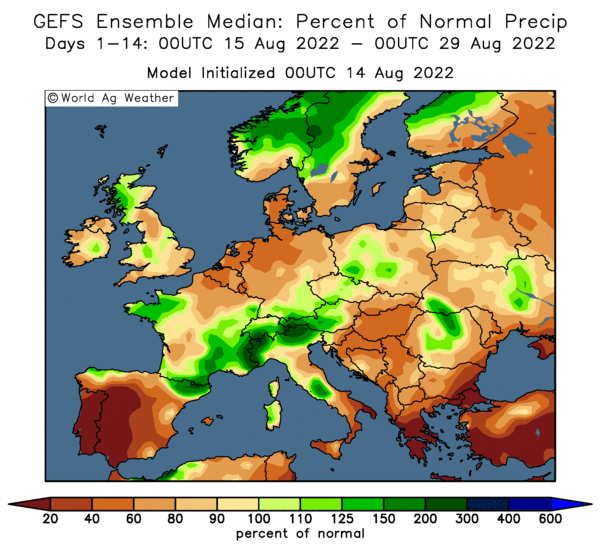 Significantly, Agritel report that Ukraine and central/southern areas of Russia are in for their best rain event of the autumn in the coming days, which should provide a massive boost to germination and crop development ahead of the winter. Rusagrotrans raised their forecast for Russia's October grain exports from 3 MMT to 3.3-3.4 MMT, which would be a record volume for the month. Russia also set record monthly export volumes in both August (an all time high for any month in fact) and September. They said that Russia's deep water ports exported 1.58 MMT of grains in Oct 1-13, almost matching the 1.69 MMT shipped out in the first 13 days of September. The Ukraine government said that they are in negotiations with Europe to obtain further preferential duty free grain export quotas in addition to the existing ones (which have already been filled in the case of wheat and corn) that expire on Oct 31. They were previously issued with a quota to export 950 TMT of wheat and 800 TMT of corn duty free to Europe, and are hoping to strike a deal beginning Nov 1, which isn't really what you want to hear if you're an EU grower. 14/10/14 -- Soycomplex: Beans closed sharply higher on what looks like fresh speculative buying. The seasonal lows are in, that seems to be what the market is thinking. "The funds are taking technical signals from yesterday and today and have turned buyers with big yields and big crops pretty well priced into the market and downside risk from current levels seems muted. And it seems this fund buying not just short covering but is new money entering the market as yesterday’s rally was accompanied by a 7,411 increase in open interest that at 820,956 lots is now approaching the 2012 record open interest of 833,271 contracts," said Benson Quinn Commodities. They estimated fund buying in beans at around a net 15,000 lots on the day. After the close the USDA said that this year's US soybean harvest was 40% done, which is better than many in the trade were expecting even if it is 13 points behind the 5-year average. Crop condition ratings were unchanged at 73% good to excellent. Weekly export inspections came in at an impressive 1.428 MMT. Plantings in Brazil are slow to get going with only 5.7% of the crop in the ground, according to Safras e Mercado. Nov 14 Soybeans closed at $9.64 3/4, up 19 1/2 cents; Jan 15 Soybeans closed at $9.73 1/4, up 20 cents; Oct 14 Soybean Meal closed at $366.00, up $22.60; Oct 14 Soybean Oil closed at 32.44, down 44 points. Both the latter two October contracts went off the board today, so the closes were a bit technical. 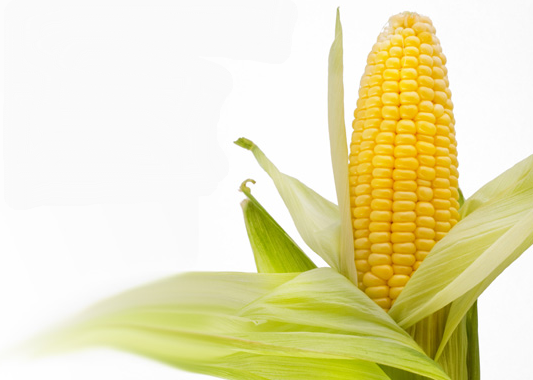 Corn: The corn market ended with strong gains for a second session. Funds were featured buyers, picking up an estimated 10-12,000 contracts on the day. South Korea's KOCOPIA bought 55 TMT of optional origin corn form March shipment. Coceral forecast the EU-28 corn crop at a record 72.79 MMT. That's up 15% from the 63.15 MMT produced last year, and also up sharply on their last estimate of 64.6 MMT in June and above the USDA's 71.02 MMT from Friday. They see the French corn crop at 16.66 MMT versus 14.47 MMT a year ago; Romania is at 11.35 MMT from 10.26 MMT in 2013; Hungary is at 8.98 MMT versus 6.72 MMT last year; Germany is at 4.8 MMT versus 4.07 MMT in 2013. After the close the USDA gave us their one day delayed crop progress report. That put the 2014 US corn harvest at 24% complete versus 17% a year ago. That was broadly in line with expectations, although it lags the 5-year average of 43% significantly. It would seem that US farmers have been more intent on harvesting their soybeans this past week, and with front end premiums to be had in beans who can blame them? US corn crop ratings were unchanged from a week ago at an historically high 74% good to excellent. They said that 87% of the crop was mature versus 89% for the 5-year average. Weekly export inspections for last week were decent enough at 933,788 MT. Dec 14 Corn closed at $3.57, up 11 cents; Mar 15 Corn closed at $3.70, up 11 1/2 cents. Wheat: The wheat market closed higher on short-covering and spillover support from corn. Wet weather in southern Brazil is seen delaying the 2014 wheat harvest there, and also potentially harming yields and quality. "Approximately 60% of the wheat in Parana has been harvested and there are reports that the latest harvested wheat in the state is of lower quality. Very little of the wheat in Rio Grande do Sul has been harvested, but parts of the state have received even more rainfall than Parana. Over 90% of Brazil's wheat is produced in these two states," said Dr Cordonnier. "Conab is currently estimating that Brazil will import 5.5 million tons of wheat to meet the domestic demand of 12.2 million tons. If the wheat crop in Rio Grande do Sul turns out to be as poor as some are expecting, Brazil may end up importing a million tons more than the current estimate," he added. Coceral raised their estimate for the EU-28 soft wheat crop from 141.9 MMT to 147.93 MMT, up sharply on 136.45 MMT a year ago. After the close the USDA said that US winter wheat plantings for the 2015 harvest are 68% complete, up from 56% done a week ago and compared to the 5-year average of 67%. Emergence is at 43% versus 28% last week and 37% for the 5-year average. Weekly export inspections weren't great at 432,880 MT, well below both the previous week and a year ago. Dec 14 CBOT Wheat closed at $5.09 1/4, up 4 cents; Dec 14 KCBT Wheat closed at $5.90 1/4, up 6 cents; Dec 14 MGEX Wheat closed at $5.64 1/4, up 5 1/2 cents. 14/10/14 -- EU grains traded higher, with sterling weakness particularly supporting London wheat. At the end of the day Nov 14 London wheat was up GBP2.30/tonne to GBP114.95/tonne, Nov 14 Paris wheat ended EUR1.00/tonne firmer at EUR158.50/tonne, Nov 14 Paris corn also rose EUR1.00/tonne to EUR142.00/tonne, whilst Nov 14 Paris rapeseed was EUR1.25/tonne higher at EUR323.50/tonne. UK inflation dropped to 1.2% in September, down from 1.5% in August and below the 1.4% that the market was expecting. That keeps a lid on the inclination for the BOE to raise interest rates, putting the pound under pressure. The trade is starting to develop a "the lows are in" vibe, even if of course nobody knows if that is really the case. The "big crops keep getting bigger" theory continues with some however. Coearal raised their forecast for the EU-28 all wheat crop to 155.3 MMT versus the 144.64 MMT produced last year, a 7.4% increase and more than the 153.98 MMT predicted by the USDA last week. They also put the EU-28 corn crop at 72.79 MMT, up from the 64.6 MMT predicted in June and 15.3% more than a year ago. EU-28 OSR output was pegged at 23.8 MMT, a 15.5% rise on last year. Both those estimates would be all time highs. Out of interest, Coceral put the UK wheat crop this year at 16.42 MMT, up 38% on a year ago. They have the UK barley crop down 3% at 6.85 MMT and our OSR production at 2.42 MMT, a 13% rise versus 2013. Elsewhere they see the French wheat crop rising from 36.87 MMT in 2013 to 37.6 MMT and the German crop up from 24.87 MMT to 27.87 MMT. The Czech Stats Office estimated the 2014 grain crop there at 7.95 MMT, up 17% from a year ago. Wheat production was forecast at 5.4 MMT, a 15% rise compared to 2013. The HGCA said that UK wheat opening stocks for 2014/15 were "historically high" at almost 2 MMT. That was despite last year's poor production, due to high imports. They peg the 2014/15 wheat exportable surplus at 3.344 MMT, a more than 3.5 times rise on a year ago. Where that will go up is anybody's guess, at the moment a large proportion of it looks like getting carried into next season already. France said that they had exported only 1.8 MMT of wheat to non-EU destinations in Q1 of 2014/15, a 25% decline on a year ago. FranceAgriMer have them down to export 8.0 MMT in 2104/15, which puts them behind hitting that target - and that aim is already a 35% fall compared to last season. 13/10/14 -- Soycomplex: Beans rallied strongly, regaining all of Friday's losses. Harvest delays were the reason, now that the October WASDE report is out of the way. The US dollar was a little lower today, which also added some support. Unfortunately the usual Monday night crop progress report was missing tonight due to the Columbus Day holiday. The USDA will release that tomorrow. Trade talk suggests that the 2014 soybean harvest may be around 30-33% done. Progress last week was 20% complete, up 10 points from the previous week, so 30% or more looks achievable. Export inspection numbers will also be delayed until tomorrow. Are the lows of the year now in? Trade talk suggests that many still expect further US yield increases from the USDA in coming WASDE reports, possibly reaching close to 50 bu/acre by the January report versus the 47.1 bu/acre that they gave us on Friday. That might suggest that we could go lower yet, especially given that record plantings and production are expected from Brazil and Argentina early in 2015. Brazilian plantings are stalled in the north/centre of the country though, waiting for rains. Chinese customs data shows that they imported just over 5 MMT of soybeans in September, down nearly 17% from a little over 6 MMT in August, although a decline at this time of year is normal. Nov 14 Soybeans closed at $9.45 1/4, up 22 3/4 cents; Jan 15 Soybeans closed at $9.53 1/4, up 22 3/4 cents; Oct 14 Soybean Meal closed at $343.40, up $4.10; Oct 14 Soybean Oil closed at 32.88, up 60 points. Corn: The corn market also closed with good gains that managed to erase all of Friday's losses. Again harvest delays were the main reason, prompting some short-covering. "The morning radar shows strong showers in the central-southern Great Plains and Mid South. Showers would advance east bringing more unwanted rain to the Midwest. At least 1.25 inch of rain is predicted today and Tuesday in corn and soybeans, but 3-4 inches in the Mississippi Valley, Great Lakes and Eastern Midwest," said Martell Crop Projections. Trade expectations are for the US 2014 corn harvest to be around 25% complete when the USDA release their delayed crop progress report tomorrow. That would be only a modest advancement of 8 points from a week ago, which looks doable. Again the big question everyone is asking is are the lows in? According to a report on Agrimoney the general consensus is no. "Typically, the feeling goes, harvest has to be about 75+% through before a low is formed," they say. Only time will tell. Trade gossip suggests that many are looking for further US corn yield increases to come versus Friday's 174.2 bu/acre, with some suggesting close to 180 bu/acre being nearer to the truth at the end of the day. The USDA noted record ear numbers in corn this year, they didn't mention that these ears are also unusually long this year too - further increasing yield potential. The fact that the harvest is so delayed this year means that the USDA had less information available to them than normal when formulating their October yield estimates, or so the theory goes. Dec 14 Corn closed at $3.46, up 12 cents; Mar 15 Corn closed at $3.58 1/2, up 11 3/4 cents. Wheat: The wheat market closed higher in sympathy with corn and beans, and is now back up above $5/bushel in Chicago. "Even when the wheat market traded firm and challenged the daily highs, I didn’t get the impression there was a big push to cover shorts. I expect the wheat market would have struggled to post higher trade at points during the session if corn and soybeans had not posted higher trade," said Benson Quinn's Brian Henry. Algeria were said to have bought around 600 TMT of wheat last week, although none of it is likely to be US origin. Egypt said that it now has enough wheat bought to last it until the first week of March. That doesn't count them out of keeping coming back in for further tenders between now and then though. They do appear to have a plan to reduce their dependency on wheat imports a little though, with the government saying that they intend to cut their international purchases to 4.0-4.5 MMT next year. Friday's surprisingly low US stocks numbers came courtesy of a rise in exports and an increased domestic feed usage of wheat. Traders are questioning the latter in particular, given the huge domestic corn crop that is on the way. What they now have at 654 million bushels could still end up at 700+ million it is thought. Winter grain plantings in Ukraine and Russia are well advance according to latest Ministry estimates. The Ukraine Ministry say that growers there have planted over 6 million ha (81% of plan), and in Russia 15.2 million (92%) has already been sown. Wheat will account for the vast majority of that in both countries. Dec 14 CBOT Wheat closed at $5.05 1/4, up 6 3/4 cents; Dec 14 KCBT Wheat closed at $5.84 1/4, up 6 1/2 cents; Dec 14 MGEX Wheat closed at $5.58 3/4, up 5 1/2 cents. 13/10/14 -- EU grains closed mixed, but mostly a little easier - although well off the lows of the day - to start the week. Nov 14 London wheat finished down GBP0.10/tonne at GBP112.65/tonne, Nov 14 Paris wheat was down EUR1.25/tonne at EUR157.50/tonne, Nov 14 Paris corn was up EUR0.25/tonne at EUR141.00/tonne and Nov 14 Paris rapeseed fell EUR1.75/tonne to EUR322.25/tonne. Brent crude hit it's lowest since Dec 2010. Ideas that falling petrol prices will keep UK inflation low suggest that the BOE will be under little pressure to raise interest rates just yet. That could prevent sterling from getting too strong and thereby support London wheat a little, not that we are awash with export interest - certainly not for feed wheat anyway. Egypt's Supplies Minister said that, following Friday's wheat purchase, the country has enough wheat bought to last it until early March. He said that they plan to cut their international wheat purchasing to 4.0-4.5 MMT next year. They propose to achieve this via reform of the domestic grain subsidies program. Egypt currently pay more than $100/tonne more for home grown wheat on the domestic market than the cost of imported wheat, according to a report on Reuters. The government have recently announced that they will pay local farmers the same price in 2015 for home grown wheat as they did in 2014 in an effort to increase plantings, which it is expected to do. Algeria were said to have bought around 600 TMT of probably EU-origin wheat for Jan-Feb shipment last week. Ukraine said that it had now harvested 48.2 MMT of grains off 83% of the planned area. The wheat and barley harvest finished a while ago at 24.4 MMT and 9.3 MMT respectively, and they have so far cut 11.8 MMT of corn off around half of the planned area. Ukraine farmers had also completed winter grain plantings on just over 6 million hectares, or 81% of the anticipated area, with wheat accounting for nearly 5.4 million ha of that total. They've also completed their winter OSR sowings at 854k ha, the Ministry said. APK Inform said that Ukraine had shipped 684.4 TMT of grains via it's seaports in the week to Oct 12, a 38% increase on the previous week. That total included 524.9 TMT of wheat, 130.3 TMT of barley and 29.3 TMT of corn. Spain (134.7 TMT) and Saudi Arabia (125 TMT) were the top destinations. The Ukraine Ministry said that grain exports for the season so far are over 9.5 MMT, including nearly 5.7 MMT of wheat, 3 MMT of barley and 721 TMT of corn. UkrAgroConsult estimated Ukraine's total wheat exports this season at 9.5-10.0 MMT. Russia said that their harvest was now in the home straight at almost 92% done, producing a crop of 103.5 MMT in bunker weight to date. The wheat harvest is a little over 92% done at 60.3 MMT, the barley harvest is more than 96% done at 20.8 MMT and they've now processed over 60% of the planned corn area, producing a crop of 7.4 MMT so far. FranceAgriMer reported on Friday that the French corn harvest was 9% done as of last Monday, up from 3% a week previously and compared to 2% done a year ago. They raised the proportion of this year's remaining corn crop rated good to very good by 2 points to 88%, far higher than only 57% a year ago. They said that French winter wheat plantings for the 2015 harvest were 23% done, up from 9% a week previously and versus 20% a year ago. Winter barley is 43% planted versus 15% a week ago and 39% a year ago. They said that 6% of the newly planted wheat crop was emerged, up from zero a week ago and compared to 4% a year ago. Barley emergence was 10% versus 1% a week previously and 8% this time last year.